One of the most fun things about the blogging world is all the contests and challenges that only blogging insiders know about and participate in. Back when I was a more enthusiastic blogger, I’ve participated in everything from microwave cooking challenges to the very scary daring bakers. For a while, I even ran a challenge of my own. But somewhere along the line, I got lazy and it’s been more than a few months that I have cooked for a challenge, let alone hosted one. 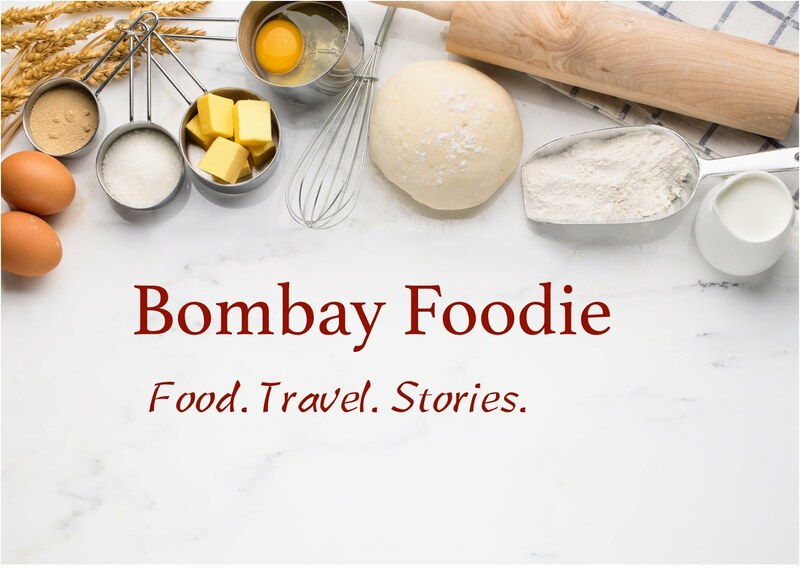 One of my favourites, back when I used to do these events, was the Indian Cooking Challenge run by my oldest friend in the blogging world – Srivalli. I’ve contributed my mum’s recipes for a couple of challenges in the past. Then, last month, Srivalli decided to throw a challenge of her own that comes all the way from home. It was Amritsari Kulcha and lazy or not, this is one challenge I was determined to participate in. So even though it’s a month late, I did create the Amritsari Kulchas. Kulchas are stuffed flatbreads made with plain flour rather than the whole wheat flour that goes into other Indian breads. They come stuffed with potatoes and loaded with tons of butter, and are cooked in our version of the oven – the tandoor – rather than on a flat griddle. In Amritsar, kulchas are both a mealtime favourite and a much loved tradition so I was quite curious to try out Srivalli’s version of the recipe. Srivalli’s recipe for the dough, with both baking powder and baking soda, felt unfamiliar but she said this gives a really soft dough so I went along with it. For the filling though, I stuck to my mom’s potato stuffing as that’s the one recipe I’ve seen her make all my life and that's the only one that works for me. 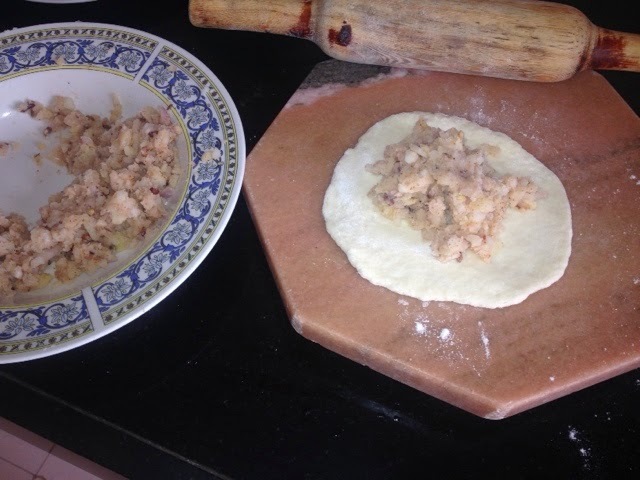 I cooked the kulcha, just like Srivalli did, in a pan rather than a tandoor. And just as promised, the kulchas were real soft and puffed beautifully. So were they as good as the kulchas sold in Amritsar. Hard to say – they were softer and the ones I am used to are crisp and crackly. And I find myself favoring the tastes and textures I grew up with in such instances. They made for a wonderful lunch though! Hello Simmi, it's so wonderful to have you trying this, especially from a punjabi, it means a lot..:)..didn't check your mom's stuffing, will do that if you have already shared..